ENIL are honoured to induct Gordana Rajkov from Belgrade, Serbia into the ENIL Hall of Fame. 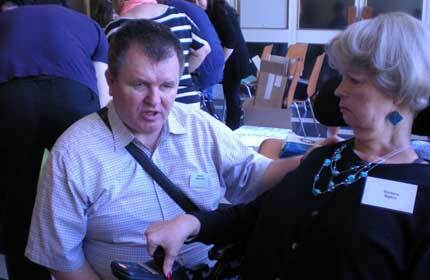 Gordana has been a disability activist and a Leader in the Independent Living Movement for a number of years. 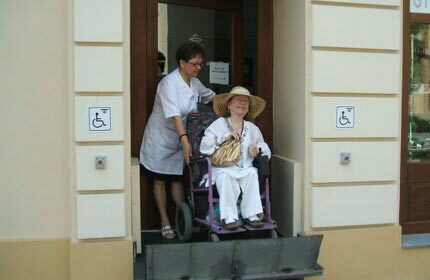 Gordana is the founder of the Center for Independent Living in Serbia and has also been a member of the Parliament in Serbia. Could you tell me a little about your background? I grew up in Belgrade in Serbia, finished elementary school there and went onto study mathematics at University. That is my professional educational background. I taught children mathematics and did this for ten years, then I started to become more involved with organisation for people with disabilities. I became President of the Muscular Dystrophy Alliance of Former Yugoslavia. With this organisation I did a lot of advocacy work trying to lobby for measures to protect and advocate for Human Rights. I also worked with Oxfam for seven years as a Regional Disability Advisor and travelled to Bosnia and Macedonia. There was a social approach to disability at the time. How did you become involved in the Independent Living Movement? I had quite an ordinary childhood, which was marked by a good education. My parents died when I was 17 years old. At that age I stayed on my own in the house. At that time in Serbia there were not many institutions for people with disabilities and at that time I did not use the wheelchair so I stayed in my own home. I had to learn the skills needed to survive. l had to make life decisions – decide who was going to help me with different things which was not an easy task at all. I liken it to passing through a market, whatever I got I had to pay for each thing I wanted to have. This created a person who deeply believed in Independent Living principles, every person including persons with disabilities has the right to decide about his or her own life and make decisions for him/herself and take the responsibility for this. Many people with disabilities in Serbia forget this, as they are not used to making decisions so don’t take the responsibility, you must be aware you are responsible for decision making in your own life.At that time I was living by Independent Living principles without knowing that they were Independent Living principles. The first time I got the idea of the concept of Independent Living I found an article written by Adolf Ratzka, written at the time when things were beginning to develop in Europe. With my involvement in the Muscular Dystrophy Alliance of Former Yugoslavia and promoting human rights on a European Level, I came in contact with people in Ireland and came to Dublin in 1992. The Center for Independent Living Dublin had just started there and they were beginning a Personal Assistance scheme.This is the first time I learned of political aspects of Independent Living. The first time I met with the concept of personal assistance and what it means. I spent three years in Dublin. I learned a lot and tried to give all of the experience I gained in my life. I started working on projects with CIL Dublin. One of the projects I liked very much was called ‘Getting Out’. This was a great project and this idea came from Martin Naughton. The project was to find people with disabilities in institutions that were interested in Independent Living and living an independent life, and role out for them a programme to help support them find a place to live, rent a home and work with them getting into an independent living way of life. It was a great experience working with CIL Dublin trying to preserve the rights of Independent Living and fight for them. At one time, a delegation of people with disabilities and their supporters stayed outside Irish Government Buildings to talk with the members of parliament about the rights of people with disabilities for two nights and I believe the same thing happened again in Ireland last year. I saw the real possibility of the philosophy of Independent Living and try to teach from my experience how to make decisions related to Independent Living and also be aware of the challenges of Independent Living.It was a good time in Ireland at that time, there was buzz around Adolf Ratzka in the USA were there was good policies being put in place. At this time, I knew that Independent Living and Personal Assistance meant something and it was something I wanted to fight for in my own country. There was also a project in NUI Maynooth for young people with disabilities on the history of the Independent Living movement. In 1995 we held a symposium on disability which would become known as ‘from the tent to the castle’ with contacts from across Europe and the United States attending. The conference was to take place in Jury’s Hotel but they were renovating the main room where the conference was to be held and it was too late to organise another venue. The hotel put in a huge tent. There was great discussion from many of the Independent Living Leaders, from John Evans and Adolf Ratzka and many others. We also met with some Members of the Irish Parliament. We achieved a victory showing what Independent Living could be. These are some of my greatest memories from Ireland. 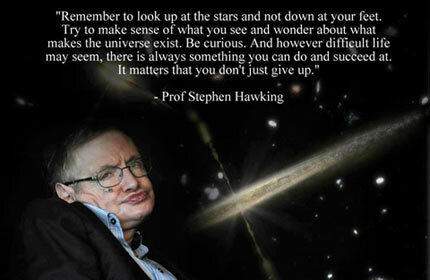 This influenced me and when I went back to Serbia I set up CIL Serbia in 1996. Since then we have developed a number of CILs in Serbia, one of the most relevant advocacy organisations in Serbia thanks to the experience with my Irish friends in those three years. What do you think was the most significant moment of Independent Living Movement? If we take Berkeley and that great history out of the equation, there are two moments and both of them are related to Strasbourg. 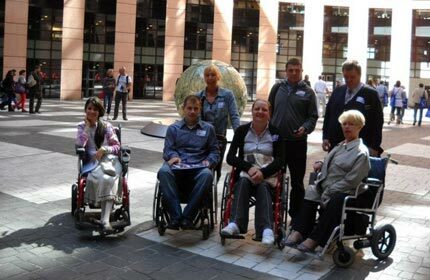 The first is European meeting of people with disabilities in 1989 and the so called Strasbourg Resolution on Independent Living and the foundation of Independent Living and later ENIL was set up. The second was the start of the Strasbourg Freedom Drive in 2003. This was quite important at the time, to bring together many people with disabilities to fight for Independent Living and to think about it, to exchange ideas, it strengthened the movement. What is your vision for Independent Living at present and for the future? At present it does not look very well. There is a recession happening in many countries. Countries which have moved towards deinstitutionalisation and achieved Independent Living conditions could now move backwards as a result of financial cuts, for example what happened in Dublin last year and what happened in Britain in 2011. John Evans spoke about the situation in Britain and this especially concerned us here in Serbia. We are at the stage where we are still working towards basic Independent Living and we always had in mind the situations in other countries and taking examples for good practice from them. Now in this economic crisis, these countries Government are trying to cuts funds for people with disabilities, it does not look good. We really need to get organised to fight if we want to preserve what we have achieved so far or make what needs to be done happen. I think we need to support young people to understand that there is no such thing as a free lunch. Young people today get many of the rights without having to fight for them and therefore take them for granted. It is good to live life like this, but all the time you have to cautious that at any moment the philosophy of Independent Living will be diluted. There could always be a chance of this, we have to be ready to fight and preserve Independent Living. We have to find a way to pass on this experience and knowledge that we have to young people with disabilities. John Evans, Bente Skansgard and myself, we are all actually in the late stages of our lives and we collected so many experiences in fighting for this for many decades it would be a pity to see all of this vanish. We must find a way to transfer to young people, not necessarily that they would have to fight through all this fight and difficulty that we had to achieve a normal life. If we manage to get people with disabilities to stay together and overcome this economic crisis then we would have an Independent Living future, the more you are achieving, fight for rights, you have to start believing in this future. If we achieve this Independent Living future and people with disabilities get to be like anyone else we would not need to exist any longer. There is always a danger that the philosophy will be diluted, something else could happen. We witness a number of countries who are going backwards to a more medical approach and old fashioned solutions. 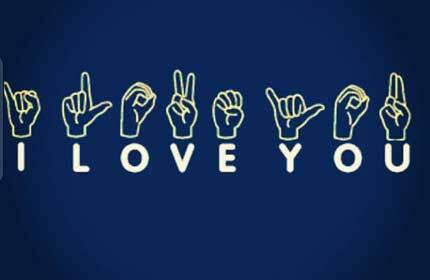 We need to protect the whole idea and concept and the terminology of Independent Living. It now fashionable to use the word Independent Living, not knowing at all what it means. This is a huge challenge in front of us: how to protect and make sure when we talk about Independent Living we all have the same understanding. What we need now is a strategy to overcome this. You will be speaking at the Strasbourg Freedom Drive, can you tell me a little about what you will be speaking about? I will mostly discuss about my independent experience as a member of the Serbian parliament in the last five years. It is important to be involved in policy making and politics if you want to influence decision makers and the whole decision making process. 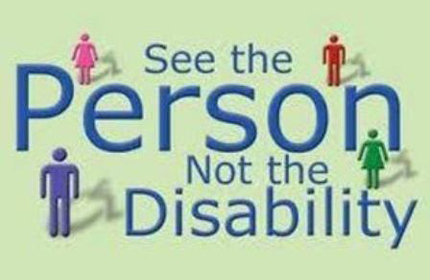 It is important be as close to that as you can, you should try if possible to be among them, you should be included in the process in order to change it.It is important for people to understand disabled people’s organisations. We asked disabled people’s organisation in Serbia if they communicated with political parties, more than 60% said no. Why is this? Most organisations do not want to be involved in the any politics. The rest of the organisations involved said they occasionally asked for favours or for funding with very few involved in the decision making process. This is not good as there are local elections every 2-3 years in Serbia. In 2003 we brought a Personal Assistance scheme into the system. When the party in Government in Serbia changes everything begins all over again, you must lobby and explain everything again which is a difficult practice. It is important to be in communication with all political parties and use this connection to further the rights of people with disabilities.Being a Member of Parliament for five years has shown how important it is to have a voice in there. 250 members of Parliament could see me have trouble opening the door, they could see that I needed the Personal Assistant to move things, there was no need for explanation, they could see in practice that I could participate equally once I had support provided. Because I was a member of Parliament a rule of procedures for parliament changed: if there is an MP with a disability then supports that a person needs in order to exercise their right as a MP must be financed. This clause did not exist in Parliament before I was an MP and it will now stay there for someone else.It is important that we are included in the process, it took us eight years to bring Personal Assistance into the system in 2003. This Personal Assistance scheme was based on what I had seen in Ireland. It showed that there is a cost benefit to the quality of life of people with disabilities that is not measurable. Thanks to this service, there is now an army of new advocates and leaders for Independent Living and Philosophy. A number of them become politically active in their local communities, become advisors to Councils, and work with social protection bodies and local community agencies. People with disabilities are becoming more engaged in policy development, they are included in the public life and show with their own examples why it is important to be involved in policy making. Why do you think the Strasbourg Freedom Drive is such an important event? People who participate feel a strength by being part of the Strasbourg Freedom Drive, people are not fighting on their own. Many of your peers are fighting for your own goal and you learn from each other. There is an exchange of experience, what has worked in one country could be adapted to circumstances in your own country. There is an influence on politics and we continue to insist on the demands developed ten years ago. I think now it is time to think about strategy, how to use this power and unity and put more pressure on the European Parliament to monitor what is happening inside the European Parliament . It is very powerful and creates a great atmosphere to hand over our demands to the President of the Parliament. It is time to think about the Strategy to move this forward.It is an important event as it shows the strength of the Independent Living Movement. Last time CIL Serbia brought people from Serbia who had participated in the last Freedom Drive and some people from Bosnia who had never participated in the Freedom Drive before. This year we hope to bring more people from Serbia and Bosnia who have never traveled to the Strasbourg Freedom Drive and make the movement wider and stronger. "Public sector for all citizens"